HR1864- House for rent in Chiangmai Thailand. 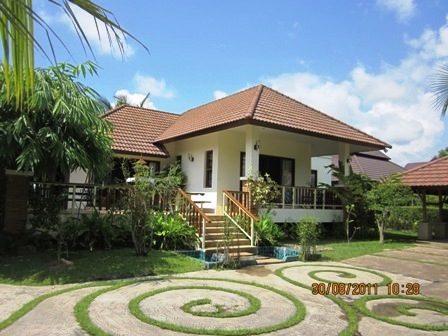 House for rent on Middle Ring Road., Tha Sala, Muang, Chiangmai. American Colonial style house with 2 bedrooms, 2 bathrooms,air-condition, Hot- water, 1 living room, 2 kitchen with a nice garden, fully furnished. Facilities: Swimming Pool, Club House, Fitness, Security 24 hours, Children s Play ground Accessible to public transportation. near by Varee Chiangmai School, Wiang Kum Kam Old City ,Global House Chiangmai Wat Chedi Lheam Wat Sao Hin, Varee Chiang Mai School. 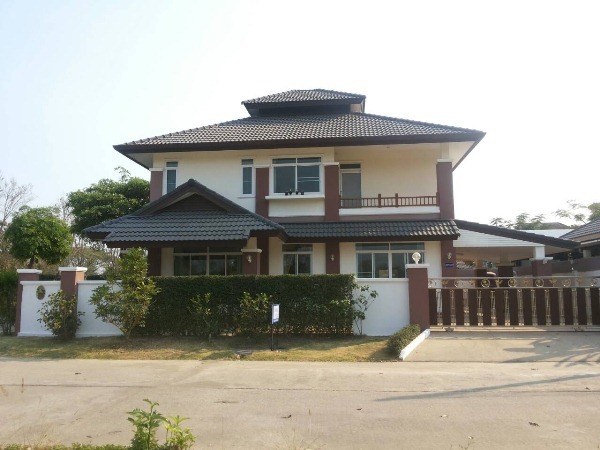 Double Storey House for rent on Super Highway road Nong-Hoi Sub District. 82 Sq.wa of land. In This Project have the swimming pool and Club House. 2 bedrooms 2 bathrooms and 1 guest room, nice 2 kitchens 1 Security Parking and Build-in Furniture. Only 8 minutes to the airport. Near Promenada Resort Mall Chiangmai, Global House, Big C Extra, Makro Chiangmai, Central Festival Chiangmai, Central Airport Plaza is the main access point to Chiang Mai city center. 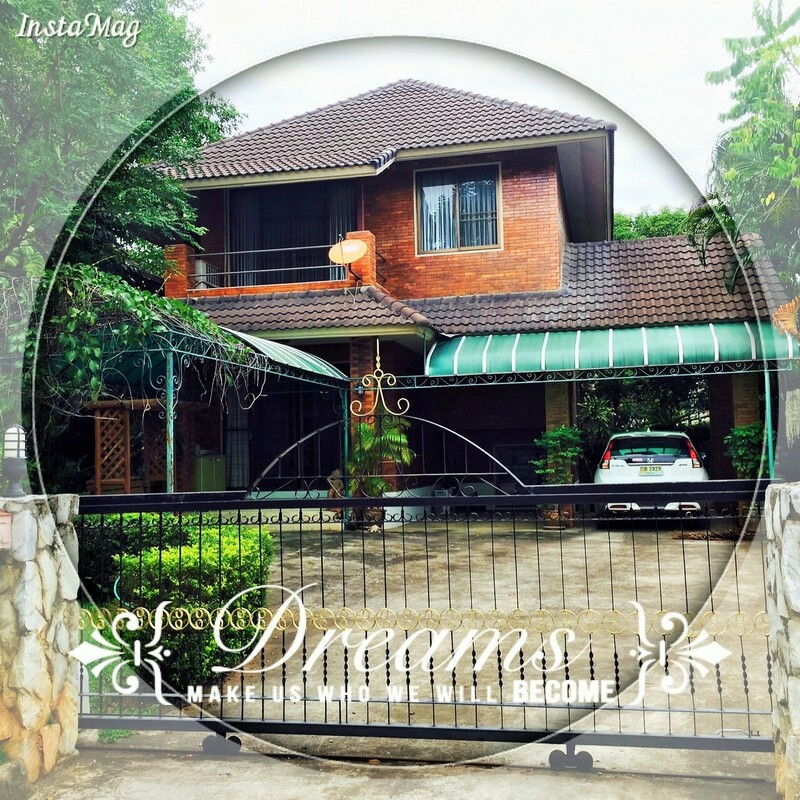 2 storey house for rent in chiangmai Thailand. This Very beautiful house. this is area quiet, family-friendly. Use About 10 minutes from the airport, Big-C, Tesco Lotus, Chiangmai Night Safari, and near by School, Hospital and many Shopping Shop. with 3 bedrooms,3 bathrooms ,kitchen,livingroom. Very good location and quiet View for Nature. ,Club-House, 24 security. 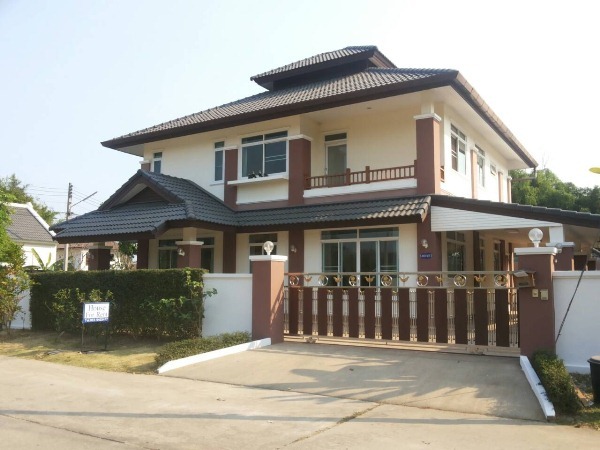 HR1490- House for rent in Chiangmai Thailand. 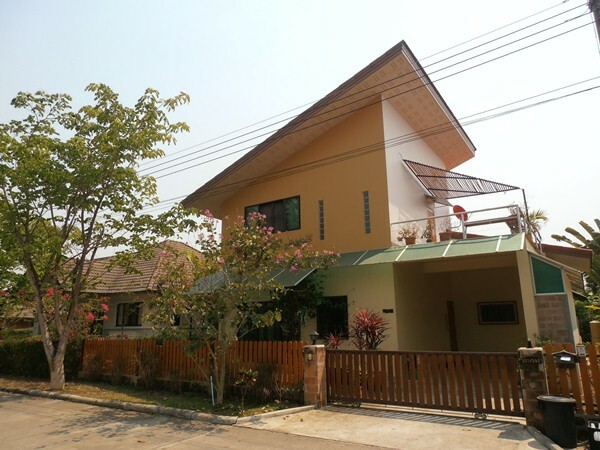 2 storey house for rent chiangmai Thailand. 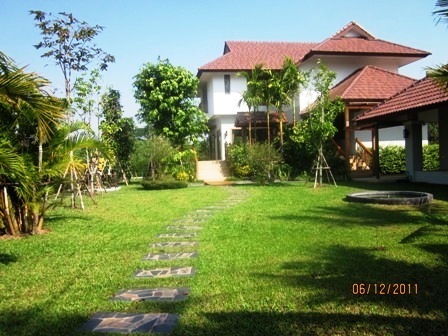 This Very beautiful big house for rent.,and this is area quiet, family-friendly. has 2 bedrooms,2 bathrooms ,1 kitchen,1 livingroom,fully furnished. Very good location and it is Private quiet Safe. About 10 minutes from the airport. HR1489- House for rent in Chiangmai Thailand. with 3 bedrooms,3 bathrooms ,kitchen,livingroom,fully furnished. HR1729- House for rent in Chiangmai Thailand. One storey house with 3 bedrooms for rent in the quiet for relaxing in good community which is equipped with all you need and ready to move in. Outside you ll not only find the nice garden, but also find parking space. Nice house with 3 bedrooms, 3 bathrooms, 1 the kitchen within quality furniture, air cons, fully furnished, Nice view from the upstairs terrace. wrought iron security with door and window guards installed you will be able to take advantage of the beautiful weather security door allow air flow when the entry door is left open, parking area and garden. There is a lot of wonderful outdoor space and spent your time in the garden for exercise and relaxing. Location: no more than 10 to 15 minute drive to Chiangmai town center and Chiangmai International airport. Good location and easy to go everywhere. 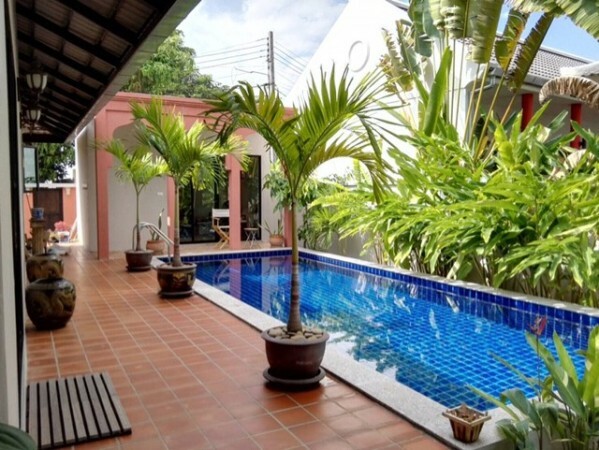 HR1713- House for rent with Private Swimming Pool in chiangmai Thailand. This is beautiful house style resort for 3 bungalows and 2 bedroom for each bungalow. There is very nice swimming pool in the middle of those bungalow. 300 sq.w or 1200 Sq.m. 90,000 baht per month. 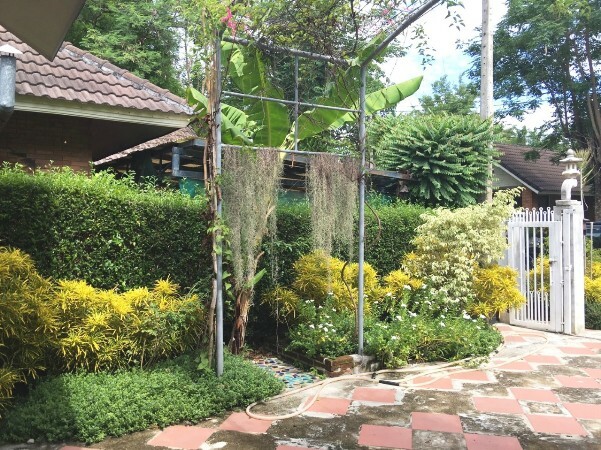 HR0880- House for rent in Hangdong, Chiangmai. 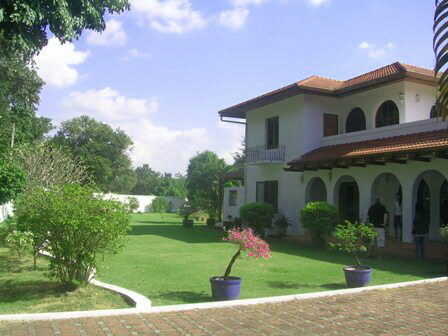 House for rent with big garden&small waterfall with fish ponds.3 Beds, 2 bahts, 1 maid house.fully furnished 5 A/C. - Not too far from many international School. A House for rent near Makro&Big C Hang Dong. Very nice and peacefull with colonian style and big Garden. About 10 minutes from Chiangmai International Airport. 4 bedroom, 4 bath room, 3 living room, Maid room, Fully furnished, Big terrace and small house in the gardren. 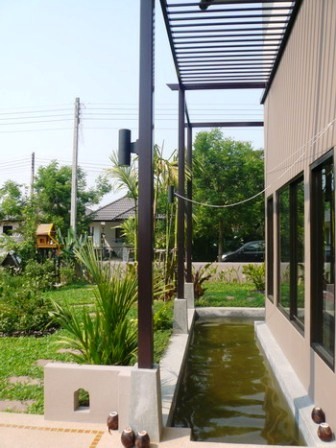 House is located within the project in wantaan area, Chiangmai. Two-storey house 3 beds, 3 baths, 1 maid room with bathroom inside. Have a nice and large garden. Peaceful atmosphere, be cool and pleasant, Surrounding with trees. Club house facilities are old although lake-side restaurant is reasonably priced and the swimming pool is large. Moo ban refuse, street cleaning and general maintenance is excellent although security at all 3 entry gates is more for appearance sake. This village is popular with Ex-Pats and Thais alike with plenty of shopping, restaurants, cafes and schools all within a few minutes drive. It s take 10 minutes drive to Central Plaza Chiang Mai Airport and the Chiangmai International Airport. And easy reach of main supermarkets Big C,Tesco Lotus & Makro. General Features Lot Size : 166 Sq.wa. 3 Beds, 3 Baths, 1 Living room & Living area 1 Kitchen 1 Maid room & bathroom inside Air condition Hot-Water TV Refrigerator or fridge freezer. Secure Parking, Fully furnished Kitchen. Facilities : Swimming Pool, Club House,Gym, Sauna, Security, Children s Play ground. 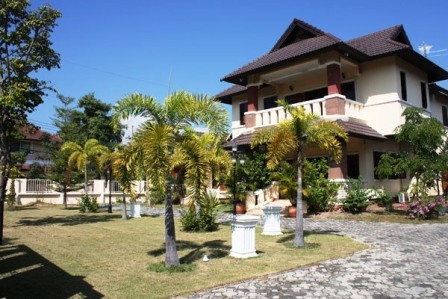 New 2 Story House Lanna Resort Stlye have 4 Bedroom 3 Bathroom Full Furniture , Electric convinience And Full Decoration. On Area 102 Sq.Wha For Land 350 Sq.m For House. IN Banwangtan Village 5 Km. From Thev International Airport Chiang Mai. 10 Miniute Go To The City. 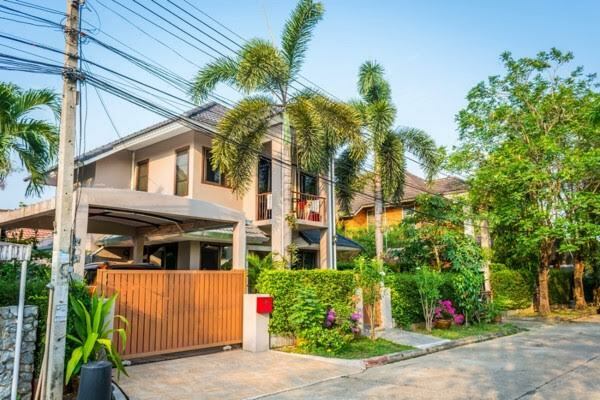 HR1515- House for rent in Chiangmai Thailand. Very beautiful House for rent this is a very good Location and good garden is The environment Surrounding with a nature you can feel the fresh air and peaceful all the night and day. House for rent with big garden&small waterfall with fish ponds.4 Bedrooms, 4 baathrooms, 1 maid house.fully furnished 5 A/C. House for rent in Hang Dong. 2 bedrooms, 2 bahtrooms, 2 A/C, 2 Hot shower and some furniture. Near Grace International school, 5 Km. from Central Airport or Night bazza. A House rent for rent near Makro&Big C Hang Dong. Very nice and peacefull with colonian style and big Garden. About 10 minutes from Chiangmai International Airport. 4 bedroom, 4 bath room, 1 living room, Maid room, Fully furnished, Big terrace and small house in the gardren.